The good news: We are unwavering in the responsibility we feel in being your interior design advocate. That’s why we take great care to slate each project in our calendar to ensure that clients have the kind of dedicated service and attention that we’d want if we were the client. (Yes! Years before my formal training, I was a design client). Here’s the great news: Good things are worth waiting for! If we weren’t so good at what we do, our production calendar wouldn’t be so full. Yes, good things are worth waiting for. We take impeccable care of our clients. This includes wise scheduling. We’ll start with a productive phone call to discuss your project goals, concerns, budget, and timelines as well as how we work and can support in all of these areas. If you’d like to proceed to a first appointment (a full working design session), we’ll schedule it to take place within 1-2 week of our first phone call. During your first appointment, we’ll drill into meaningful design deliverables. We’ll delve into your unique Design Fingerprint and I’ll answer project questions, from design to budgeting to logistics. This is a full working design session because we feel it’s important for you to see how we fit before you engage us. Most often at the conclusion of this first session clients request a project proposal so they may engage us. Your clear and simple proposal will contain a Scope of Work. Your SOW will list all services to be provided, your start week, and all services fees. If it meets with your approval, it will be wrapped into our standard Letter of Engagement for you signature and deposit. We work with carefully vetted vendors who excel in product quality and service, and who offer a vast range of customization in fabrics, finishes, color, and silhouettes. We will select your ideal resources based on your project and budget goals. Thanks to our ideal Bucks County location, we can take you to the design centers in Philadelphia or NYC, or if you prefer, we can simply bring selections to you instead. 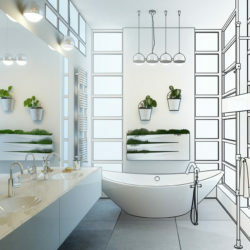 In your design phase, each step culminates in your approval so we can proceed to the next project phase. We begin with space planning before moving into budget forecasting and early creative. To accurately project your budget, we’ll begin your design creative: furnishings, rugs, fabric, colors, flooring, finishes, lighting, fixtures, hardware, furniture, millwork, cabinetry, window treatments, bedding, upholstery, accessories, and art or framing. Not everything on that list may apply to you – or there could be more depending on your project. During this exciting meeting, you’ll see your line-item budget and your early creative. In that meeting, together we’ll determine if showroom visits are in order, or if you wish for us to complete your creative without that legwork on your part. Either way, we’ll complete all of your design creative for large presentation to you. Once you have made all of your selections at your full creative presentation, you’ll enjoy a short meeting with one of our team. This allows us to review with you all proposals for signature. You’ll also be able to see how well we’ve landed within the budget projections you’ve already approved. Your items will go immediately into order management and the long wait for fabrication begins. 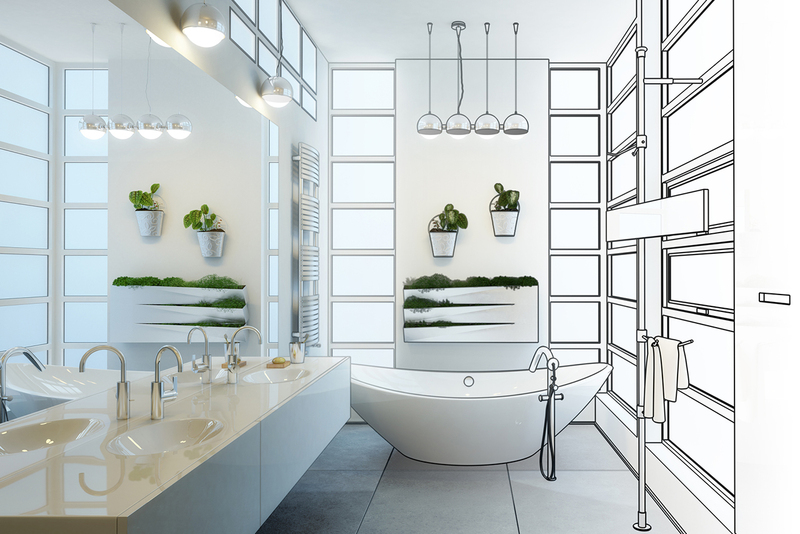 If there is renovation involved in your project, this is either already underway, or slated to begin during this phase of your project. Once all of your items arrive at our receiver and pass their mid-line inspections, we’ll schedule your delivery. This is thrilling day for you, seeing the full impact of the beautiful decisions and selections you’ve made. We’ll finish the magic by styling and installing accessories and artwork, either finding new things or using your treasures. All projects end seamlessly and with a final punch list of any open items. We want o know that everything is addressed before leaving you to enjoy your new space. 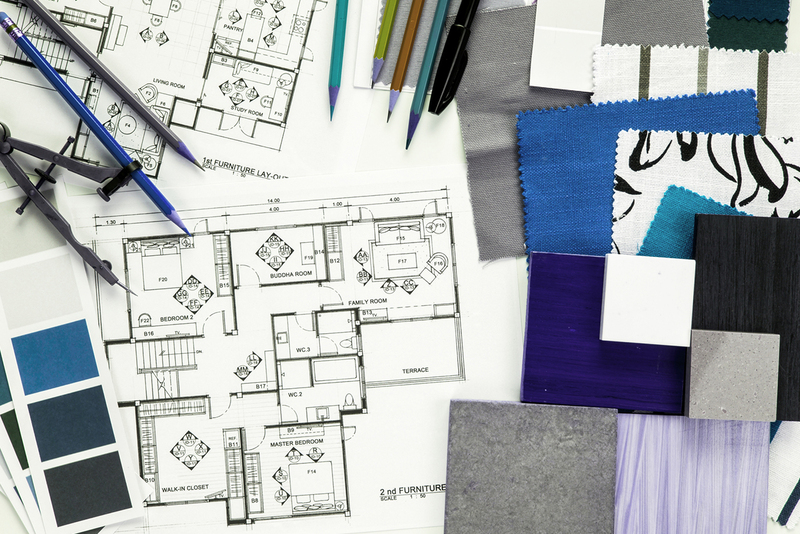 Ready to get started with your custom interior design project? Get to your finish line as soon as possible and call us today!